Clubmark is a Sport England initiative that provides a 'kitemark' of quality for sports clubs. Its purpose is to identify and acknowledge those clubs that have shown that they are properly and efficiently managed, that provide a safe environment for young players to learn and enjoy their sport, and that have a high standard of equity and ethics towards all members. Clubs that have gained Sport England Clubmark status are therefore nationally recognised as being run in a safe, effective and child-friendly manner. How is Clubmark status achieved? Gidea Park & Romford CC was one of the first clubs to receive ECB/Sport England ClubMark accreditation back in 2004 and successfully achieved re-accreditation in September 2008. This accreditation is fully integrated with the Club's child protection policy. This sends a positive message to the local community, schools, community groups, local authorities and other local funding agencies about the quality and safety of the Club's junior section. John's contact details are also available here for members only. 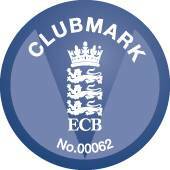 More information on ECB ClubMark can be found on the ECB's website here.